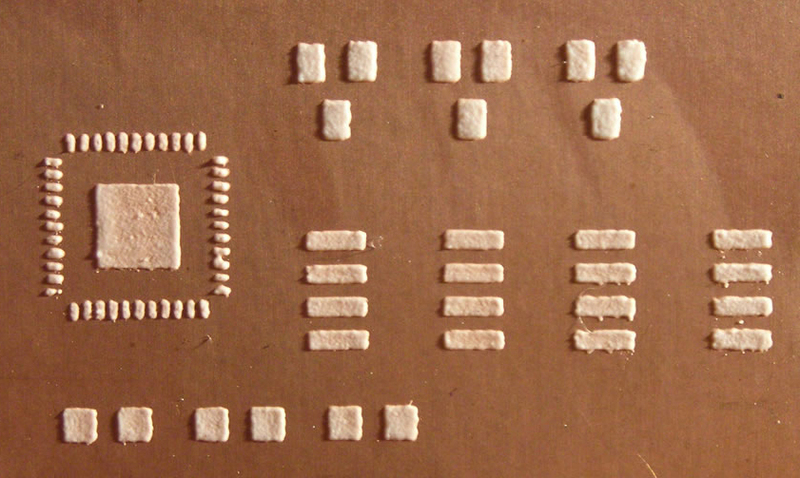 This was a quick test to see if it was possible to make a stencil for screen-printing solder paste on PCB boards. I used standard overhead projector film and cut various openings for pads in it with the laser cutter. As I didn't want to waste solder paste, I used toothpaste instead! The stencil was placed on top of the board and taped in place. A piece of hard rubber was used to drag some toothpaste across the surface and press it into the holes. The end result is quite effective - even the pads of the 44-pin PLCC chip are well-defined. Larger devices like SOIC8 should be dead easy to do. 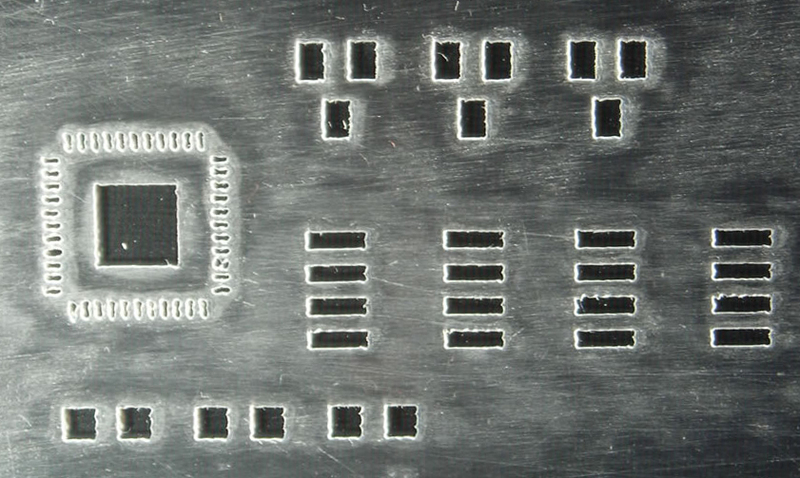 Photos below show the stencil and the resulting deposit of toothpaste on the PCB board.